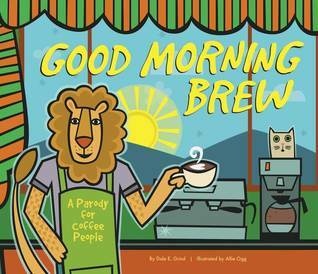 Sign up to win a free copy of Good Morning Brew! Giveaway ends November 04, 2015. This is the page where we post whatever's capturing our attention at any given moment here at Bailiwick Press. It's our OMG Facebooky news page. Our News Feed page, on the other hand, houses only Important-and-Truly-Archive-Worthy News. It's like our New York Times news page. Browse both for the complete Bailiwick scoop.